Volvo are very much a household name in Britain, so much so that if I didn’t know any better I would have assumed they were actually a British manufacturer, my granddad drove a second hand V50. It is in fact Swedish and has been around since being founded in 1927 by Assar Gabrielsson and Gustav Larson. 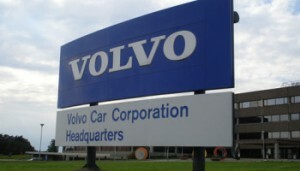 The company is now called Volvo Cars and has been completely separate from the Group since 1999. Though they still share the same logo and have their headquarters based in the same city. The two parted ways with Volvo AB when it was taken over by Ford, who now own it as part of their Premier Automotive Group. One thing commonly associated with the brand is their attention and innovation when it comes to safety. “Cars are driven by people. The guiding principle behind everything we make at Volvo, therefore, is and must remain, safety”. That’s a quote from Assar Gabrielsson and Gustav Larson. That was said the year the company was founded. It still rings true even today and is the reason I know I can get a new or second hand XC60 and it will more than likely be as safe as it was when it left the production line.